Engage is a group of local leaders, community organizations and concerned residents in Henderson, Kentucky and Evansville Indiana. Our mission is to provide a process that creates partnerships with residents and community resources to improve the quality of life in targeted neighborhoods. 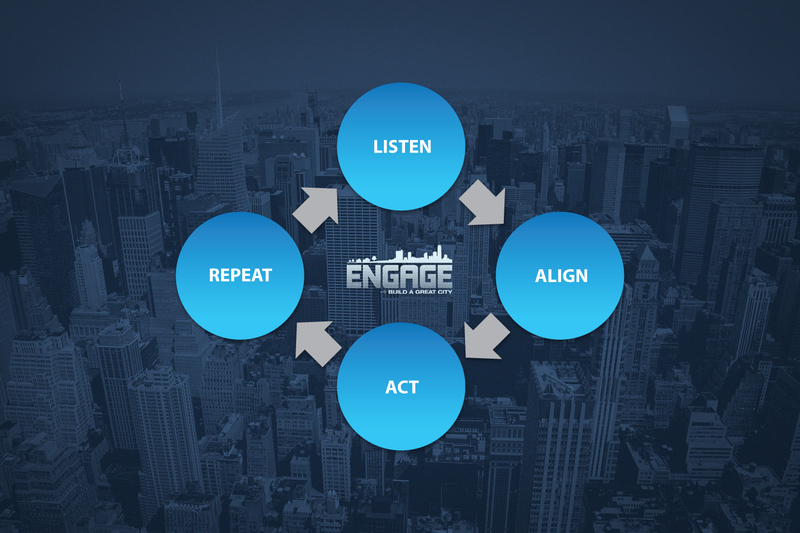 The Engage process includes 4 simple steps…Listen, Align, Act, Repeat. LISTEN-Seek to understand the dreams, gifts and strengths of people by providing a safe place for open discussion of ideas. Repeat-Stay at it with a complete dependence on God for community transformation- We can serve the city, love the city and bless the city-but only God has the power to transform a city. First Baptist-"Henderson I Love You"